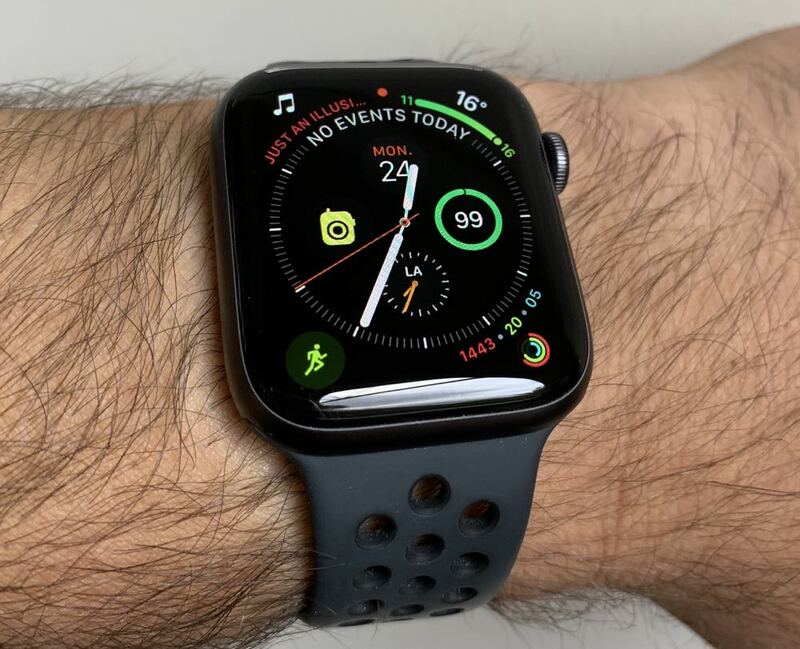 Apple Watch Series 4 has moved the smartwatch to an all-new level and it provides an excellent companion for anyone who wants to keep an eye on their health, their fitness and wants to stay connected with or without their iPhone by their side. If you've ever doubted whether you needed a smartwatch the Apple Watch Series 4 will certainly change your mind. It’s the best smartwatch you can buy right now. 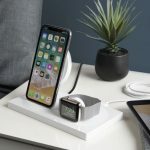 Of all the recent Apple announcements, the Apple Watch Series 4 was the one that stole the show with its new look, slightly larger size and interesting new features that will appeal to those customers still not sold on the whole smartwatch concept. There is a lot of technology packed into this small device and the fact we can wear it on our wrist 24/7 makes it a valuable tool for our fitness, health, wellbeing and quality of life. It is also pretty darn handy to be able to see at a glance all of your messages, incoming calls and other notifications without having to reach for your phone. Apple Watch Series 4 has really come a long way since the first product we were introduced to back in 2014. It’s become the most popular watch in the world, and we’re not just talking smartwatches. More people buy Apple Watch than any other watch of any kind. And with this latest version, Apple has delivered yet again. 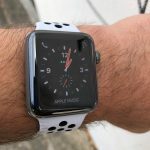 Apple Watch Series 4 is easily the best smartwatch on the market right now. On the design side, Apple went back to the drawing board and reengineered the device to maximise the screen space which now reaches almost completely to the edge of the product. 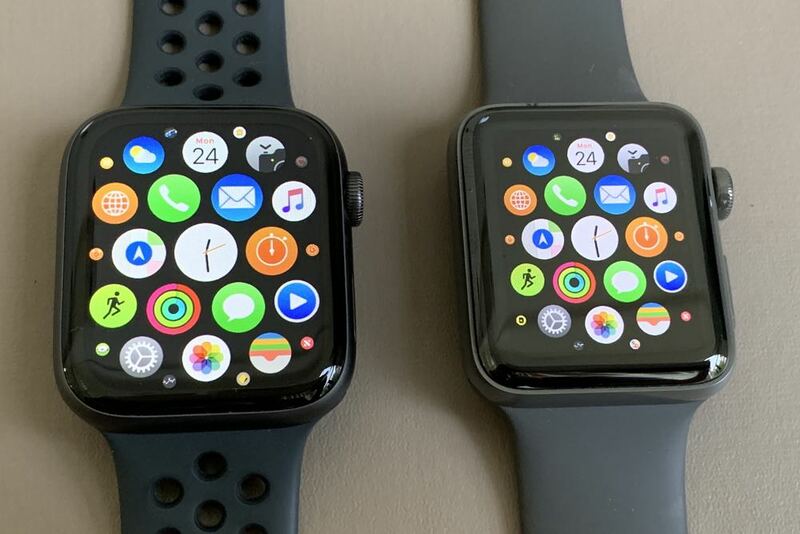 The Apple Watch Series 4 is slightly larger than the previous iterations but yet manages to offer more than 30 per cent more display. And it’s the first thing you notice when you get it on your wrist, especially if you’ve experienced the previous versions of the device. There is actually a new display technology on board that offers greater power efficiency. The back of the new Apple Watch is made of black ceramic and sapphire crystal which provides optimal cellular reception. The Digital Crown has also been reengineered and now delivers haptic feedback as you scroll through lists for a more responsive experience. 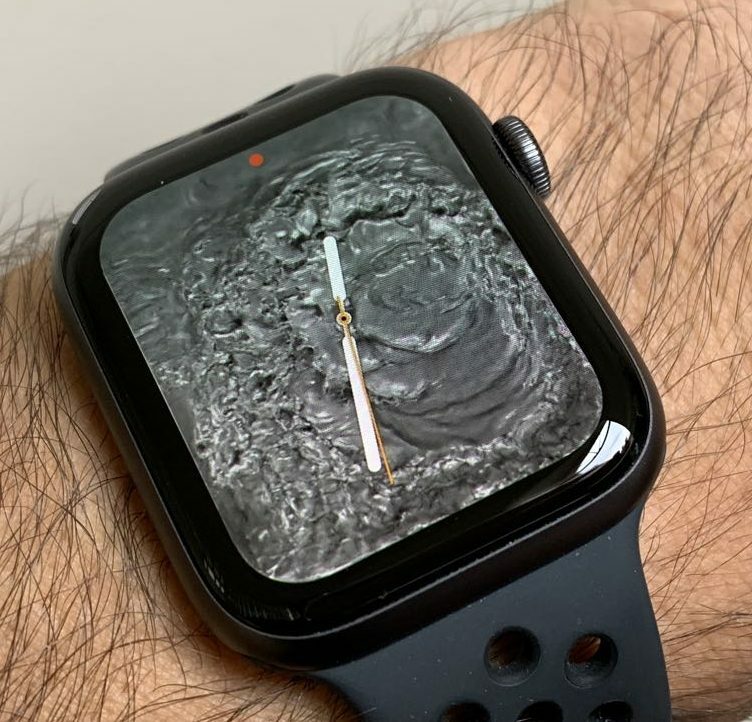 The Apple Watch Series 4 is water resistant to a depth of 50m so you can take it swimming and surfing. 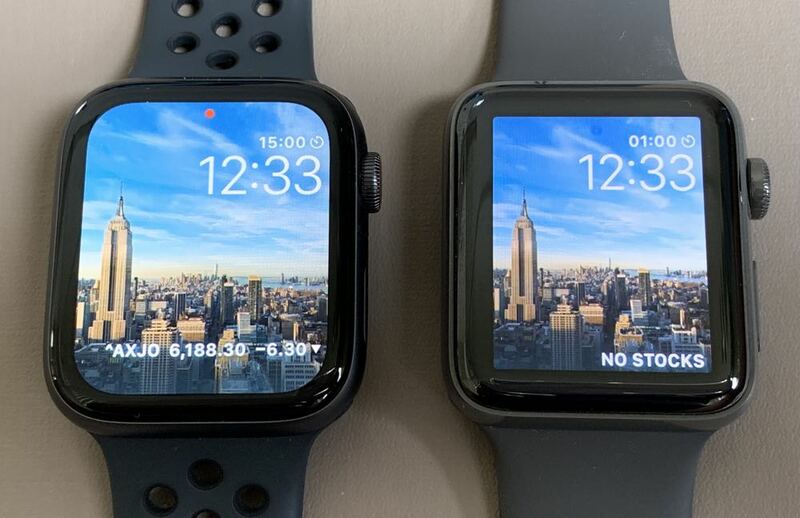 Apple Watch Series 4 comes in two new sizes – 40mm and 44mm – which is a slight increase to the previous 38mm and 42mm models. 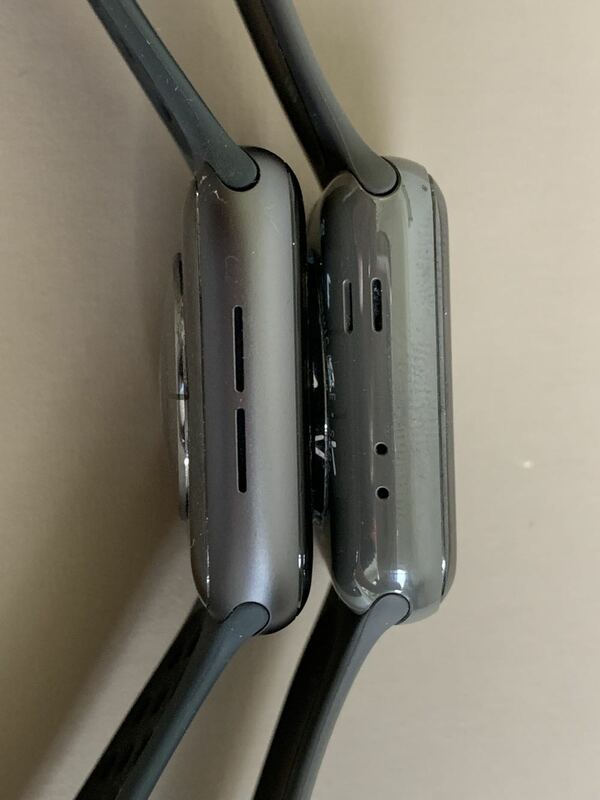 But even though the cases are slightly taller and a fraction wider they’re actually thinner and are smaller in volume than the Apple Watch Series 3. But it all makes way for that amazing larger screen which dwarfs the previous display and allows the user to access even more information. Now it’s even easier to read entire text messages and emails. Reading maps and even viewing photos is also a lot better thanks to that larger display. Evening doing little things like typing in your passcode or dismissing a notification is a breeze thanks to that additional screen real estate. 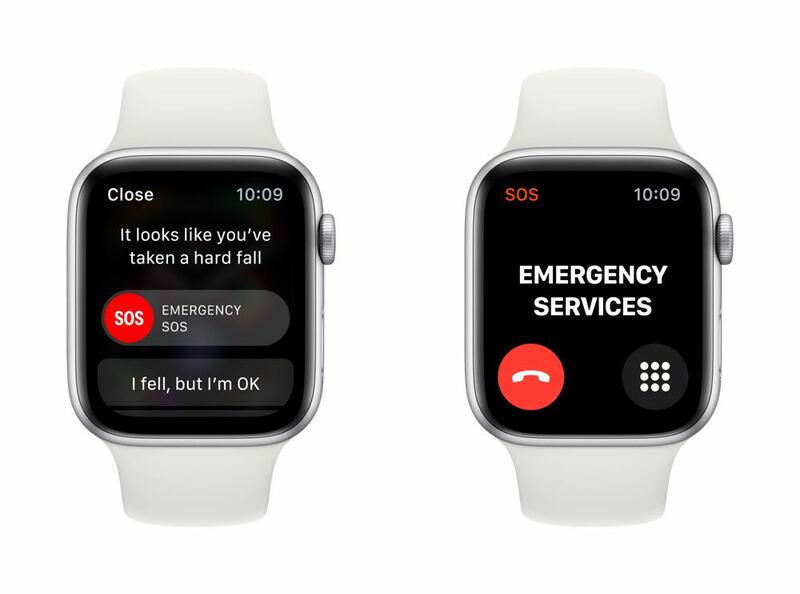 With Apple Watch Series 4 and its larger display, there are new watch faces which can fit up to eight complications so you can have your important information right there to view at a glance. These can include the weather, current temperature, calendar, your workouts, your activity rings, heart rate and Apple Music. Frequent travellers can also set up multiple time zones on a watch face while investors can place their favourite stock right there in the middle of the screen. 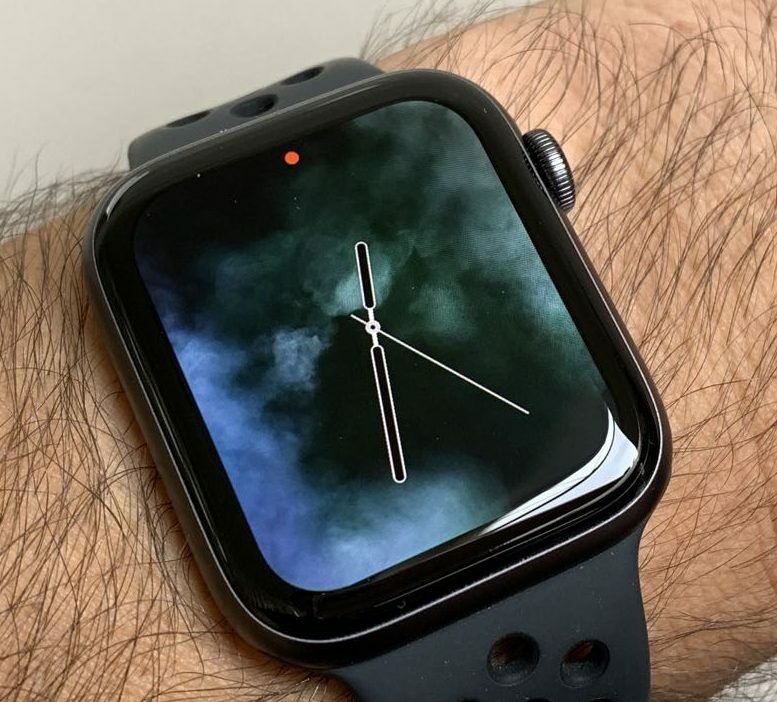 And if you just want to look at something beautiful every time you want to know the time, Apple also has four other watch faces – fire, water, vapour and liquid metal. These were all created by photographing those actual materials in the space resembling the shape of Apple Watch. Unfortunately, Apple still doesn’t give customers the option of buying watch faces from third-party developers. 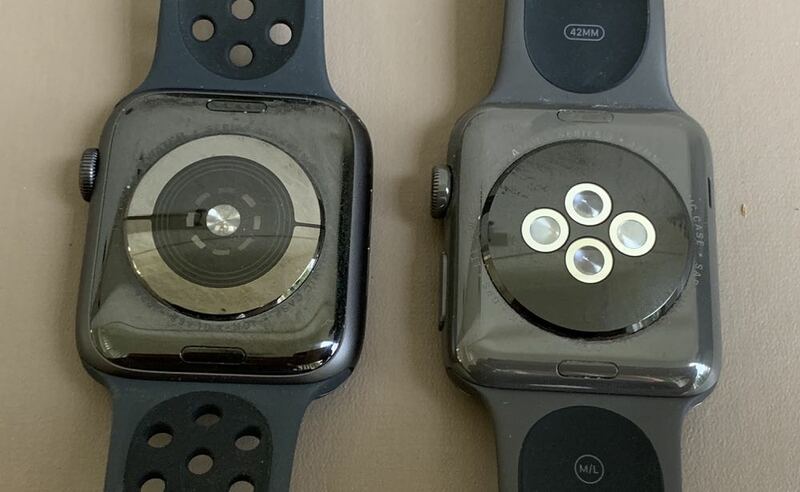 We’re sure customers would be willing to pay a dollar or two for an Apple Watch face. We sure would. 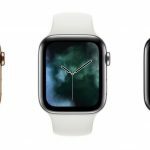 But third-party developers can build full-colour complications that could be included in the current range of watch faces. 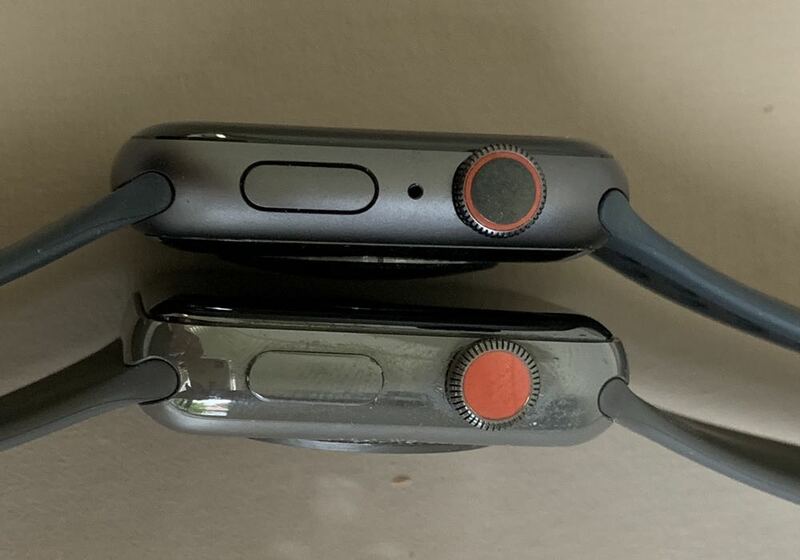 There are now two heart sensors of Apple Watch Series 4. One is located inside the Digital Crown while the other is located on the base of the device which is in constant contact with your wrist. 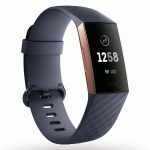 This allows for the watch to monitor your heart rate during exercise as well as at rest and provide notifications if it detects an elevated heart rate when you’re not exercising and even give you low heart rate notifications. One of the interesting new features introduced to the Apple Watch Series 4 is ECG which means you can actually take an electrocardiogram by holding your finger on the digital crown for 30 seconds. This feature is not available at launch but Apple is currently seeking approval from medical authorities to enable it in Australia in the near future. When it is working it will allow users to send their ECG as a PDF to their doctor. 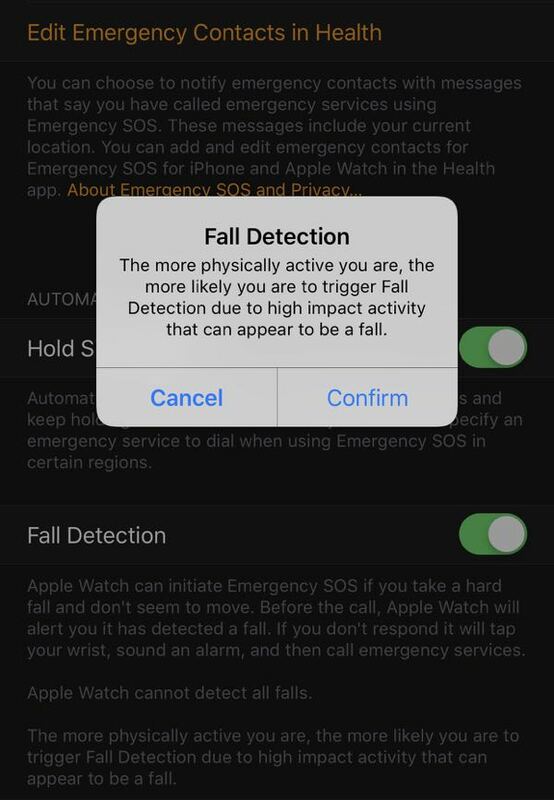 Another impressive feature for Apple Watch Series 4 is Fall Detection which, as its name suggests, can tell if the user takes a tumble. This feature alone could potentially save your life. Using the built-in accelerometer and gyroscope, the device can actually work out the level of impact and the type of fall that has occurred. If the person is immobile for more than 60 seconds you can notify your emergency contacts and even call 000. That call to 000 is basically a silent call which emergency services will use to triangulate your location. 000 operators can never hang up on a call so they will wait until your exact location is established and send help. Uses are warned though, that more physically active users could be likely to trigger this feature if they engage in any high impact activity. On the hardware side there have also been some significant improvements. 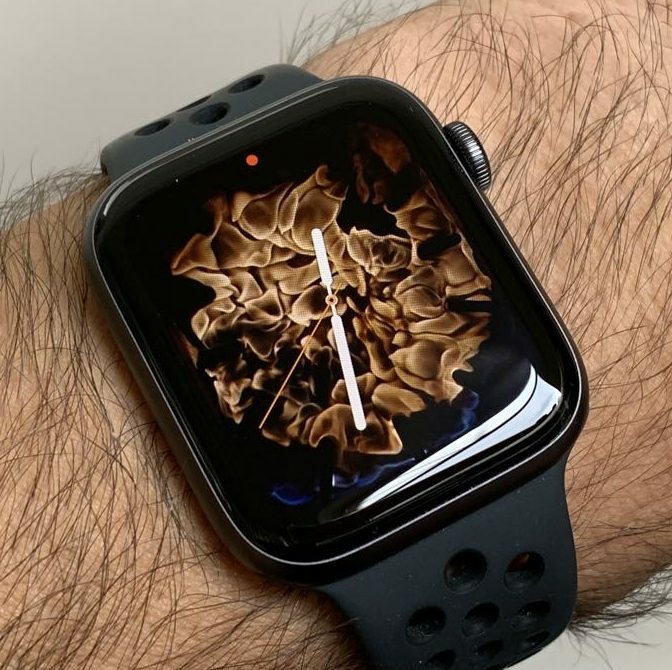 Apple Watch Series 4 is powered by the new S4 processor which brings 64-bit dual core performance along with the new GPU so the device is noticeably faster across the board. The on-board W3 wireless chip also does a nice job delivering faster Bluetooth 5.0 which makes it quicker and easier to hear your music and podcasts right from the watch. Another noticeable difference is the improved speaker. It is louder and clearer than the speaker on the previous version which makes it easy when you’re making or receiving calls, talking to Siri or using the cool new Walkie Talkie function. 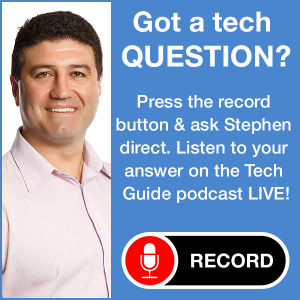 The clarity comes from Apple’s decision to relocate the microphone to the other side of the device which reduces echo and makes for clearer sound. 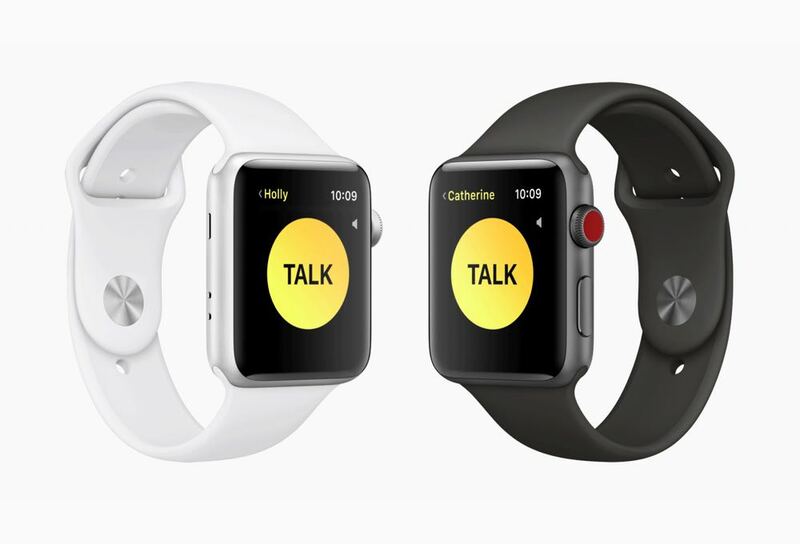 Once again, Apple is delivering a cellular version of the watch so you can still make and receive calls, send and receive text messages and even stream content and use apps if you don’t have your iPhone by your side. So if you’re out for a run or a swim or a surf you can still stay in touch and also pay (using Apple Pay) for a coffee or a drink afterwards and all without having your iPhone with you. It’s also possible to use Maps and use third-party apps just using the cellular version of Apple Watch. You can still do things like check-in for a flight and even book an Uber right from your wrist without your iPhone in sight. 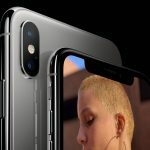 Customers who upgrade from the Series 3 cellular version to the Series 4 cellular version will also need to transfer their cellular plan to the new device. 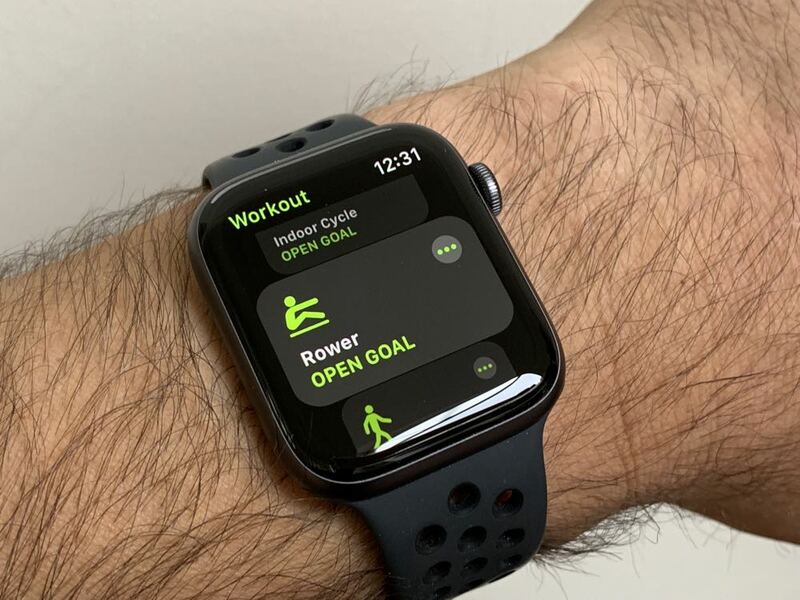 This was a pretty simple operation through the Apple Watch app on our iPhone and was just a matter of selecting, through the operator’s portal within the app, that we wanted to activate the plan on a new Apple Watch. But that cellular connection doesn’t allow roaming, so you can’t use Apple Watch Series 4 on its own if you’re overseas. 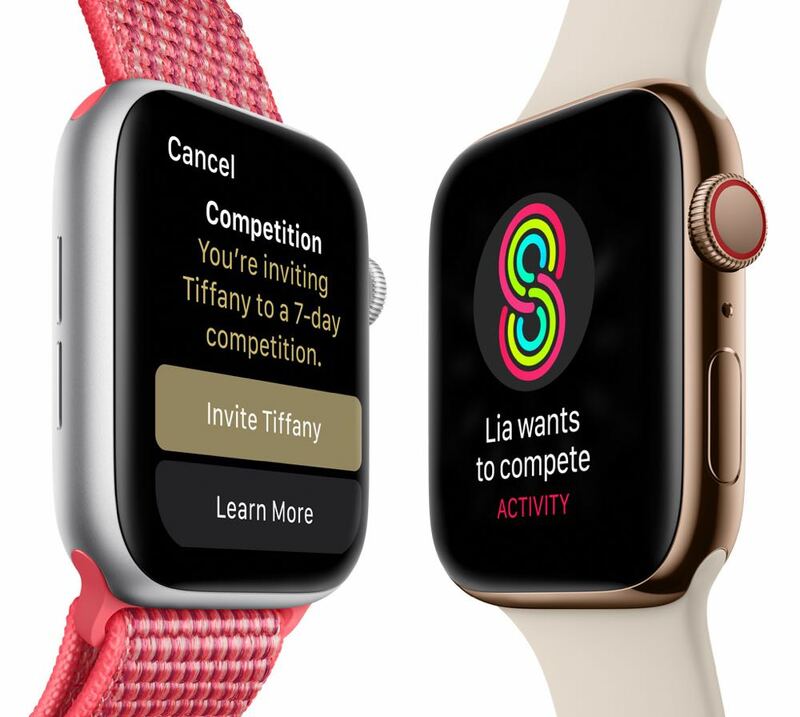 The new Apple Watch Series 4 comes preloaded with the new watchOS 5 operating system that includes a number of new features including Walkie Talkie, workout detection, advanced running features and the ability to stream podcasts on the Apple Podcasts app. The Apple Watch Series 4 is more expensive than last year‘s model. Th aluminium and Nike+ versions starts at $599 (40mm GPS) and $649 (44mm GPS) and $749 (40mm) and $799 (44mm) for the cellular versions. 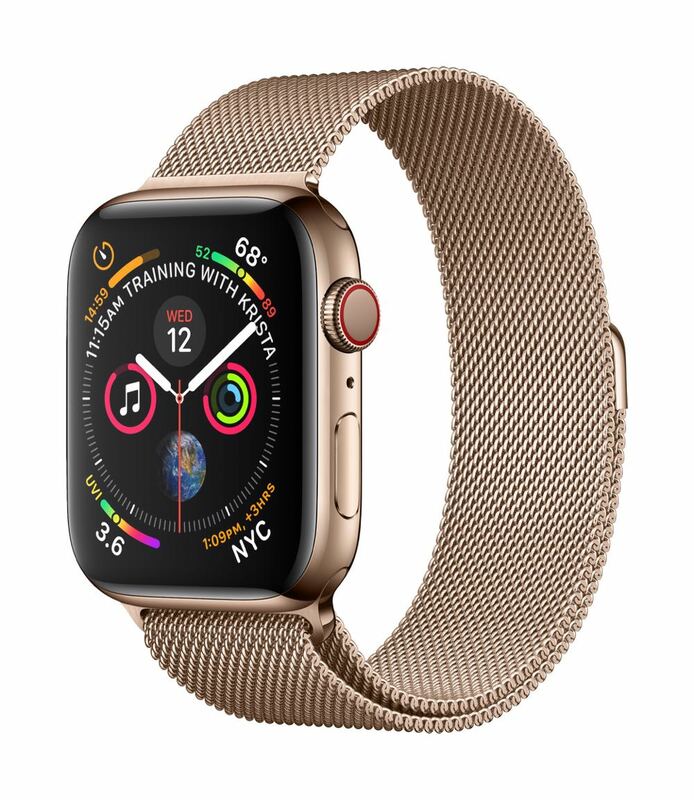 The stainless steel models of Apple Watch Series 4 are only available in cellular versions and start at $1,049 and(40mm) $1,129 (44mm). 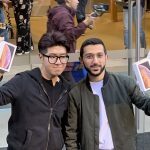 There are also Hermes cellular versions of Apple Watch Series 4 which start at $1,899 (40mm) and $1,979 (44mm). Apple Watch Series 3 is also still available for $399 (38mm GPS) and $449 (42mm GPS) and $549 (38mm cellular) and $599 (42mm cellular). 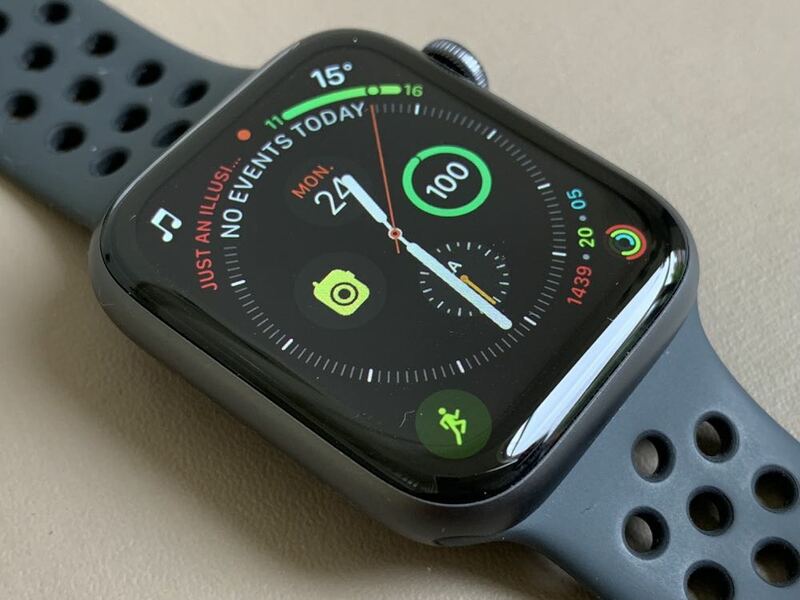 Apple Watch Series 4 has moved the smartwatch to an all-new level and it provides an excellent companion for anyone who wants to keep an eye on their health, their fitness and wants to stay connected with or without their iPhone by their side. 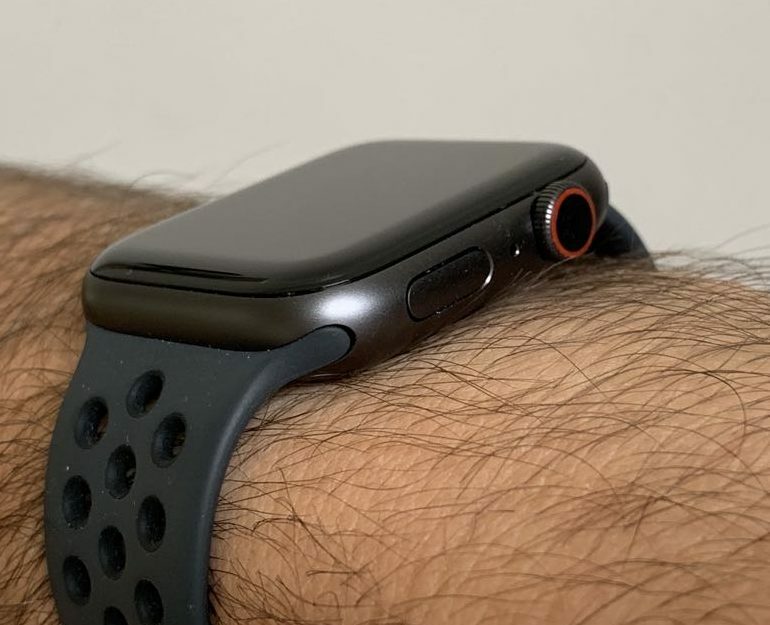 If you’ve ever doubted whether you needed a smartwatch the Apple Watch Series 4 will certainly change your mind. It’s the best smartwatch you can buy right now.